It’s currently 10:30 a.m. on Monday morning and I’m sitting in the living room of my apartment in 450K. Having arrived in D.C. two days ago, I’ve been adjusting to city life and settling in to my new home for the next twelve weeks. I also managed to pick up a cold in my short time at home in Delaware, so my roommates have had to put up with me shuffling around the apartment drinking tea and coughing a lot. The way I look at it, things can only go uphill from here. To introduce myself, my name is Hannah Lowe. I’m a rising sophomore from Delaware and I’m in the DC News & Media Summer Institute (DCNMSI). In DCNMSI, I’ll be in two weeks of class on the topic “Issues in New Media” and interning in marketing with the 9:30 Club and I.M.P. for the rest of the summer. Classes begin today, and I’m excited to learn from Professor Timothy Barnard and our guest speakers over the next two weeks. Since arriving in the city, I’ve familiarized myself with the neighborhood. After Saturday’s move-in, my institute cohort (plus a few roommates from the other institutes) went to Chipotle, like true Gen Zs, and checked out the rooftop pool in our apartment building. Yesterday we went down to the National Mall and visited the Smithsonian Castle, the National Museum of African Art, the Freer Museum of Art, and the National Air and Space Museum. 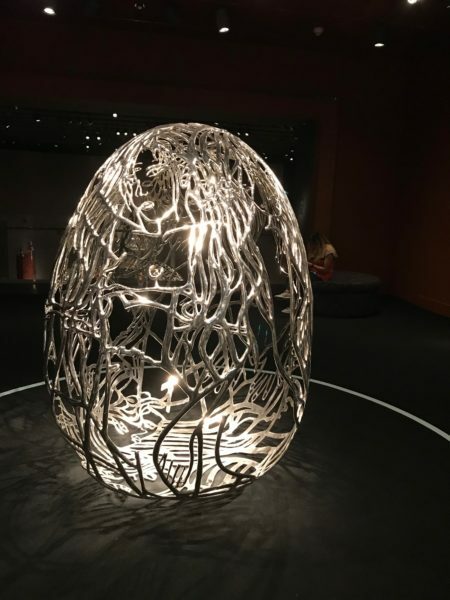 We learned quite a bit, including the fact that the Museum of African Art and the Freer are connected via underground corridors. Who knew Night at the Museum was nonfiction? There isn’t too much else to say, since I’ve only been here for two days. 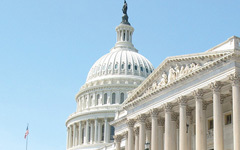 Other than that, welcome to #WMDigitalDC (a.k.a this blog series)! Feel free to ask any questions in the comments below and I’ll do my best to answer them. 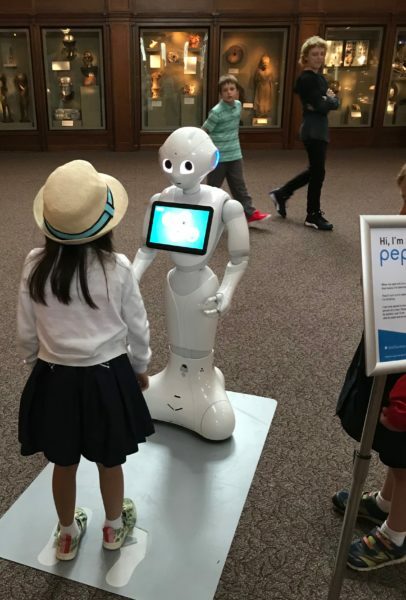 Pepper, the Smithsonian robot, interacts with a young visitor. According to the Smithsonian’s website, Pepper is a “interactive humanoid robot” who can answer questions and pose with guests. The robot coup is coming, and it looks like a Teletubby. 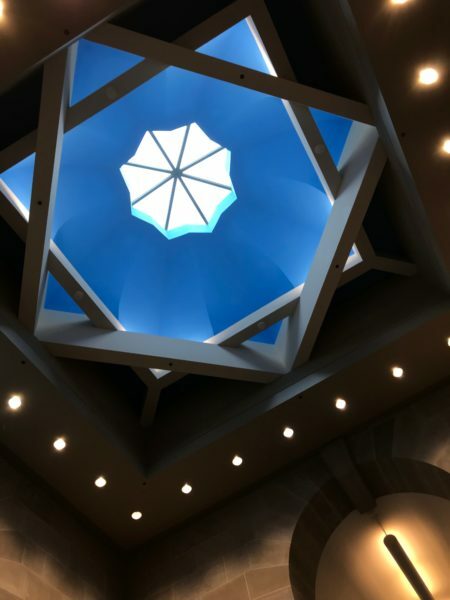 The skylight and dome at the National Museum of African Art. Somehow, despite being primarily an underground facility, the museum is spacious and natural. “The Blue Bra Girls” (2012) by Egyptian-born, NY-based sculptor Ghada Amer. According to the plaque at the Museum of African Art, this piece is “a tribute to women who stand up to their beliefs.” The title references a young woman whose blue bra was exposed and photographed in a protest during the Arab Spring.